There are gyms, pools, golf clubs, baseball and soccer teams where you can enjoy sports activities in and around Tokyo and Yokohama. A number of groups, online forums and websites have also been formed by local fans to help non-Japanese speakers enjoy their favorite sports during their stay in Japan. You don’t need any special equipment or facilities to enjoy some running or cycling. Many city parks have running/cycling courses, and some also offer bicycle rentals. With running becoming more popular in recent years, a number of convenient “running stations” provide services such as showering facilities and locker rentals. Remember to be careful if you decide to take your bicycle out on the main roads, as drivers may not be used to driving alongside bicyclists. 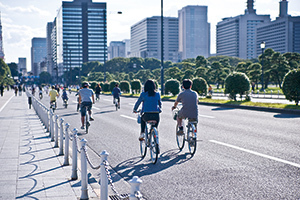 A guided cycling tour takes you to major tourist spots around Tokyo. The fee includes rental bike and box lunch. There are public and school pools open to residents in most neighborhoods. These pools generally charge around 400 Yen (adults) for a 2 hour session. Be aware that most if not all facilities require the use of swimming caps, and earrings, necklaces, and watches etc. must be removed before entering the pool. Most places also have a strict “no tattoo” policy. However, these rules may not apply at some fitness clubs and spa pools, which may have a completely different set of policies. 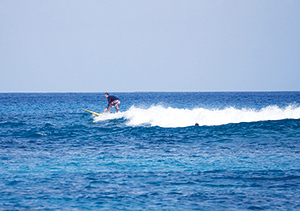 There are many beaches open to swimmers and surfers that can be found just an hour away from the city. Just be aware that beach culture and rules are a bit different than those from abroad. Most swimming areas have beach houses that offer locker rental and shower facilities along with food and beverage services. Alcohol is allowed on the beach, but you should not drink if you will be driving home afterwards. Some locations have different zones for swimmers and surfers, while others have specific times or seasons designated for each. Most people living in Tokyo overlook the fact that hiking and other outdoor activities can be found only a few hours outside the city. While Mt. 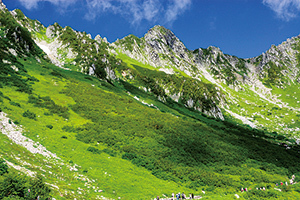 Takao is certainly famous and worth the trip, the mountain ranges in Yamanashi and Nagano offer everything from beginner hikes to world-class mountaineering. Tour groups also offer rafting, canyoning, and other thrilling adventures. Japan’s ski resorts provide access to mountains lush with heavy snowfall, where visitors gather to participate in a variety of winter sports including skiing, snowboarding, and snowshoeing. While you won’t be able to find any of this inside the city, there are a number of resorts that are easily accessible from Tokyo by car or train. Some convenient locations are even directly connected to the city via bullet train. Most resorts offer rental services. Many ski resorts have hot springs on the compound or in the near vicinity where you can warm up after a long day on the slopes. An adult day-pass typically costs around 5000 Yen. The mountainous regions in Japan’s national parks are perfect for backcountry skiing. Within easy access of the Kanto region, Mt. Hakuba, Mt. Shibutsu, Mt. Akazura, Mt. Tanigawa, Mt. Kagura, Mt. Akashiro, and Mt. Hotaka are popular locations. Some places can be accessed via ski lifts, but at most you must hike up yourself. An avalanche information database with daily updates. Some information available in English. 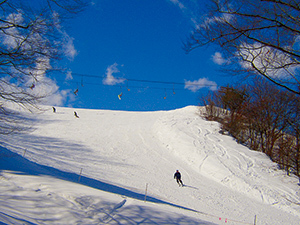 Daily updates on winter sports and snow information in Japan. An English blog on backcountry in Hakuba. 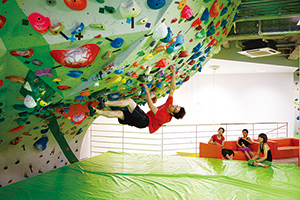 Bouldering has become increasingly popular in Japan in the past few years. All you need to start is some chalk and a pair of climbing shoes, both which can be borrowed from the gym. Here are some gyms in central Tokyo. See also: our featured article “Rocking Out without Ropes ”. Locations: Akihabara, Ogikubo, Yokohama, Kawasaki, etc. Golfing in Japan is an all day commitment and can be very expensive. However, it provides a relaxing alternative to the urban activities associated with living in a large city. There are also driving ranges within the city allowing you to stop by for some practice shots on your way home from work. 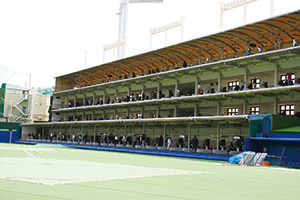 This first-rate golf range within the Meiji Jingu Gaien grounds is popular for its convenient location in the heart of Tokyo and late opening hours. Golf clubs are available for rental, but you must bring your own shoes and gloves. 8 min. from Gaienmae Sta. Golf in Japan / Outdoor Japan Inc.
Karate, Judo, Aikido and Kendo (Japanese fencing) are all popular participatory sports and many local clubs welcome foreigners.